You’re out searching for your dream home…. 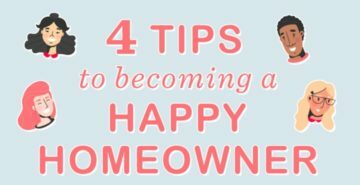 but how do you make sure that once you’ve found what you believe is your dream home that you’ll be a happy homeowner after you’ve bought it? Most everyone is happy the day they close on their new home and move-in… but how do you make sure you stay happy and don’t regret decisions you’ve made about the home and neighborhood?